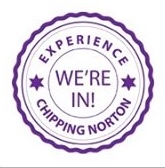 From the 3rd to the 18th March next year, Chipping Norton will be holding its 105th annual Music Festival. The Festival’s mission is to “promote confidence through performance” and is an opportunity for artists young and old to perform to an audience and adjudicator, and receive constructive feedback and guidance. The schedule of categories is now published on the website www.cnmf.org.uk and is also available in Chipping Norton at the Jaffé & Neale bookshop, and people have until January 20th 2017 to sign up. Last year over 1,000 people took part and the event is a showcase for musical ability and professionalism in the Cotswold. Some categories of performance such as senior choirs can be oversubscribed, so groups are encouraged to book early to secure their place. The full syllabus of events within the Festival can be found at www.cnmf.org.